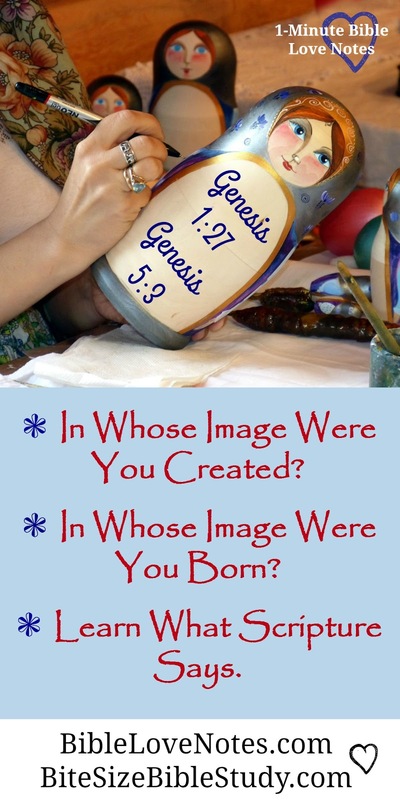 In whose image are you born? You are CREATED in God's image (Genesis 1:27). Adam's sin distorted God's image in mankind, making us favor sin over righteousness. Proof of this comes in Genesis 6 when God had to send the Flood so that evil did not overtake all of mankind. 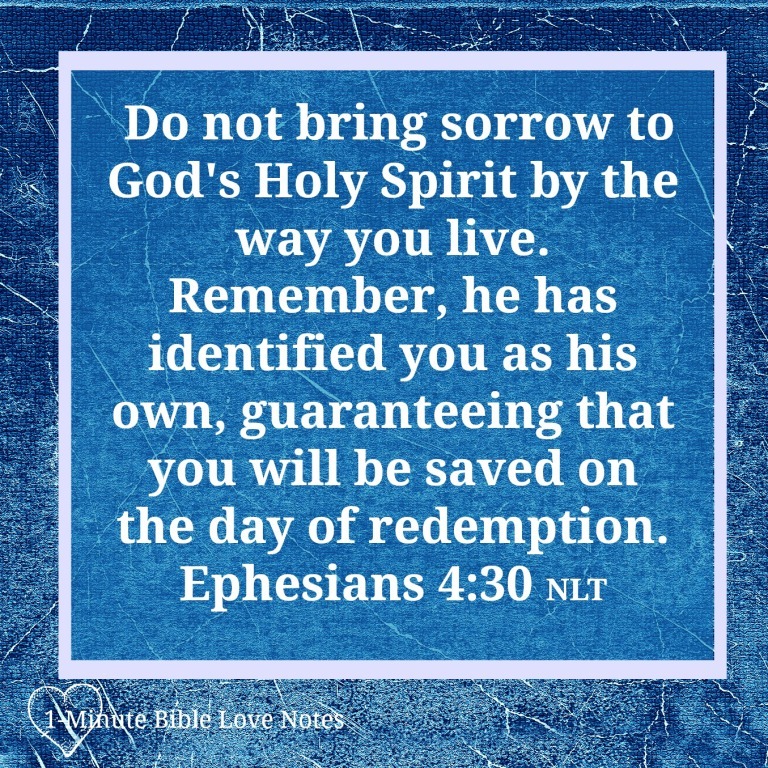 It breaks my heart to know how our sins grieve God. It gives me joy unspeakable to receive Christ's grace, forgiveness and renewal. Do you know that joy unspeakable? It's available to all who believe! All Scripture NIV unless otherwise noted. 2. We often underestimate how much God loves us, how much he strives with us before punishing us, and how much we break His heart. Genesis 6:5-6 (NLT): The Lord observed the extent of human wickedness on the earth, and he saw that everything they thought or imagined was consistently and totally evil. 6 So the Lord was sorry he had ever made them and put them on the earth. It broke his heart. Psalm 78:40-41: How often they rebelled against him in the wilderness and grieved him in the wasteland! 41 Again and again they put God to the test; they vexed the Holy One of Israel. 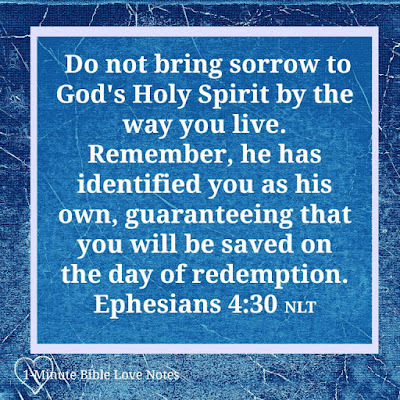 Isaiah 63:10:Yet they rebelled and grieved his Holy Spirit. So he turned and became their enemy and he himself fought against them. Hebrews 10:29: How much more severely do you think someone deserves to be punished who has trampled the Son of God underfoot, who has treated as an unholy thing the blood of the covenant that sanctified them, and who has insulted the Spirit of grace?